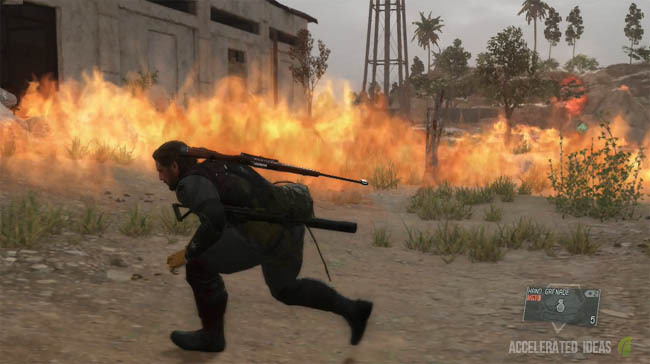 The Man on Fire makes several appearances in The Phantom Pain and the hardest of these so far is Mission 20 "Voices". As usual the game provides only a limited number of clues so here's a guide to help you kill the Man on Fire. Mission 20's objective is to rescue Shabani, the leader of the boys who were forced to work at the mine. He's been taken to the Ngumba Industrial zone also known as the The Devils House. 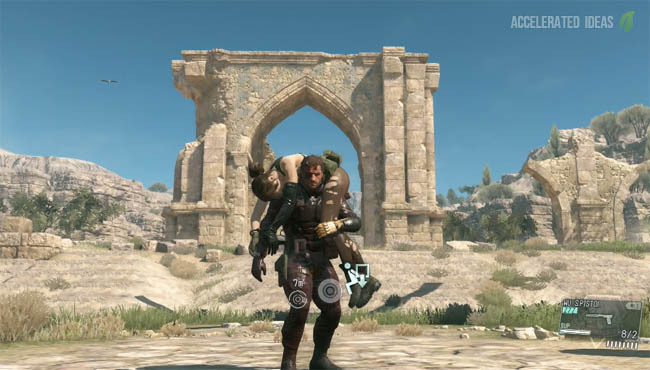 The cutscenes in this mission certainly resound that Devil's House theme but Mission 20 actually starts off at a nice gentle pace through the jungles of Africa. It isn't until you discover the warehouse that the Man on Fire comes along and really makes life difficult. As soon as the Man on Fire appeared I immediately ran through the small rooms inside the warehouse and escaped through the same door I entered. Running down the hill towards the tunnel I thought I'd made it; only for the roof to collapse and of course I was blocked in with the enemy. The game now expects you to work out a way to stop the Man on Fire on your own, by using the tools around you. Gunfire, explosives and mines will do nothing to hurt this foe; if anything making him more angry (remember the prologue?). Thankfully the guy is tremendously slow once you've evaded his detection, giving you time to assess the area before he attacks again. I simply ran to the closest building and sneaked behind crates to lose his line of sight. By this point the warehouse entrance is still open but is not accessible. Take a good look around the edges of this building, making a note of the location of each of the water taps. There's about 4 or 5 spread evenly inside and out. 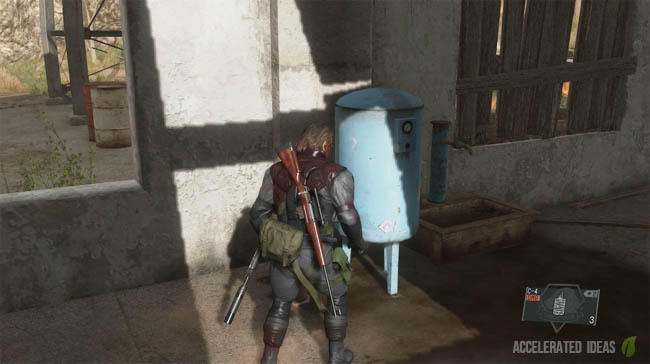 Using an explosive weapon you can easily crack the pipes, which causes water to spurt out onto the floor. 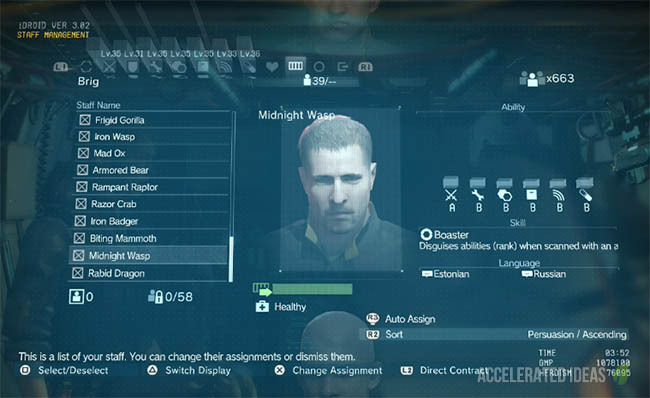 The Man on Fire is susceptible to water and it's the only way to harm him. The best weapon for this part is probably the C4 charge or mines because you can place them near the water taps. It's then a case of luring the enemy to the right location, detonating the explosive and watching as he gets sprayed with water. Need more water? There are two huge water containers, located on top of the pylons. Go outside and look up to the sky - see those two containers on top? A rocket blast or other explosive shock will send them crashing to the ground, unleashing a generous splash of water. If you're able to lure the enemy to this spot then the water will do some lasting damage to him. The other point of interest is the water pool (lake, pond whatever) that lies between the open building and the warehouse at the back. The Man on Fire will not step into the water so it can't be used to trap him but you can avoid an incoming melee attack by running through the water yourself. Finally, if all else fails then play cat and mouse with the enemy until the weather turns in your favour. An approaching rain storm is a god send and will immediately end the mission, resulting in a successful completion and allowing you to move onto mission 21.